Starting summer 2016, Gresham, Oregon will be home to the newest West Coast League baseball team. Gresham Mayor Shane Bemis, along with West Coast League President Dennis Koho, made the announcement Thursday at Mt. Hood Community College’s Oslund Field. “We are proud to welcome the West Coast League to Gresham. This league will bring a fun and affordable family-friendly activity to our community and I am excited to see kids and families at the games cheering on Gresham’s team,” said Gresham Mayor Shane Bemis. “Mt. Hood Community College is honored to be the host site for what should prove to be a wonderful addition to the Gresham community,” said Mt. Hood CC President Dr. Debra Derr. “The West Coast League is very excited to be partnering with Gresham and Mt. Hood Community College. Both represent high standards of growth and excellence as does the West Coast League. Every community in which we play gets their chance at winning a championship, and I am confident that the new Gresham club with bring a strong brand to town in 2016,” said West Coast League President Dennis Koho. The owners of the yet-to-be named Gresham team are Jerry and Lisa Walker who are also the owners of the highly successful Salem-Keizer Volcanoes, a Class A affiliate of the 2010, 2012, 2014 World Series Champions San Francisco Giants; and the Klamath Falls Gems. “Lisa and I join the entire WCL, City of Gresham, Mt. Hood Community College and area fans in celebrating this next chapter in community-based, family-friendly, championship-caliber baseball,” Jerry Walker said. “Gresham is known to support baseball. We’ve had a number of major league players come from our area and it is natural the community would rally around this new team. What a great opportunity for business involvement as well,” said Lynn Snodgrass, Gresham Area Chamber of Commerce CEO. The team’s nickname and mascot will be determined through a community-wide “name the team contest.” Fans can immediately begin submitting their entries by email togreshamwclbaseball@gmail.com. Featuring a population of nearly 110,000 and located in Multnomah County, Gresham is a suburb of Portland, Oregon and is the fourth largest city in Oregon. Gresham’s WCL team will play its home games at Mt. Hood CC’s Oslund Field, which features ivy on its outfield field fence like Wrigley Field in Chicago. The new Gresham team will replace the Klamath Falls Gems in the WCL’s 2016 schedule. The WCL’s 11-team schedule will be released soon. The Klamath Falls Gems will continue play at historic Kiger Stadium, but not as a West Coast League team. The Wenatchee AppleSox Baseball Club is part of the West Coast League, one of the premier wood-bat summer collegiate leagues in the country. 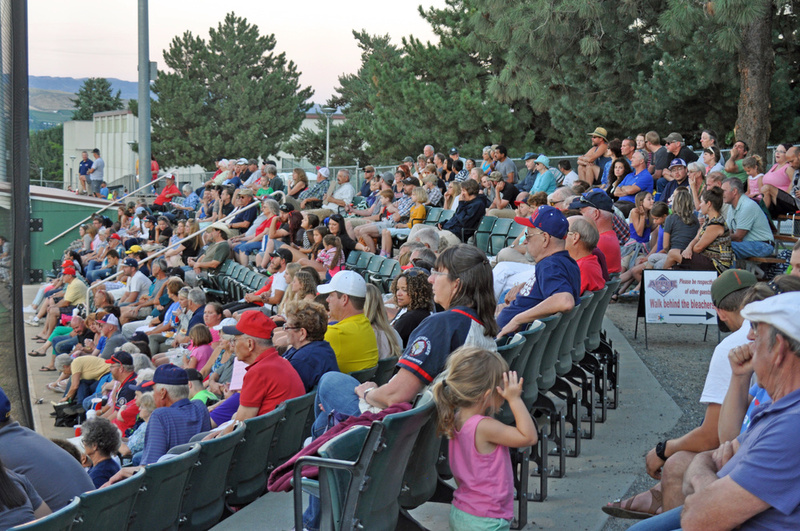 The AppleSox provide affordable family entertainment for baseball fans throughout North Central Washington, and an excellent environment for college players from around the country to develop their skills. The AppleSox were founded in 2000 and appeared in the West Coast League Championship Series in 2012. The team has won the WCL Championship five out of the last nine seasons (2005, 2006, 2009, 2010, and 2012). Nine AppleSox alumni have reached the major leagues. Three currently play at the MLB level: Jason Hammel (Chicago Cubs), Blaine Hardy (Detroit Tigers), and Tommy Milone (Minnesota Twins). For more information, visit www.applesox.com.